How big is Titan Poker? 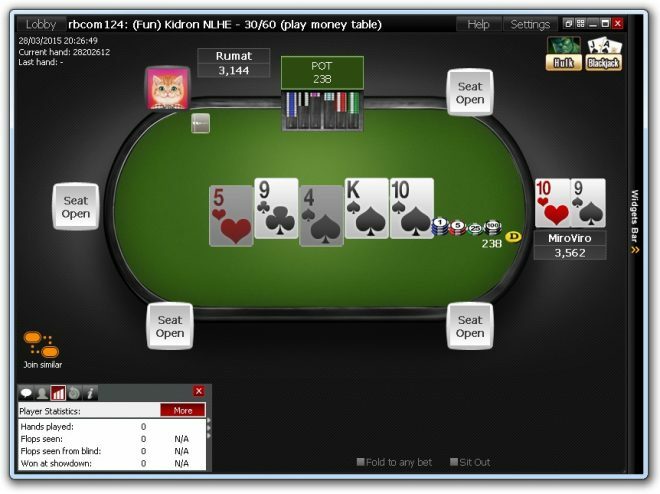 With over 4,000 cash game players iPoker is the third highest traffic network of poker rooms online. 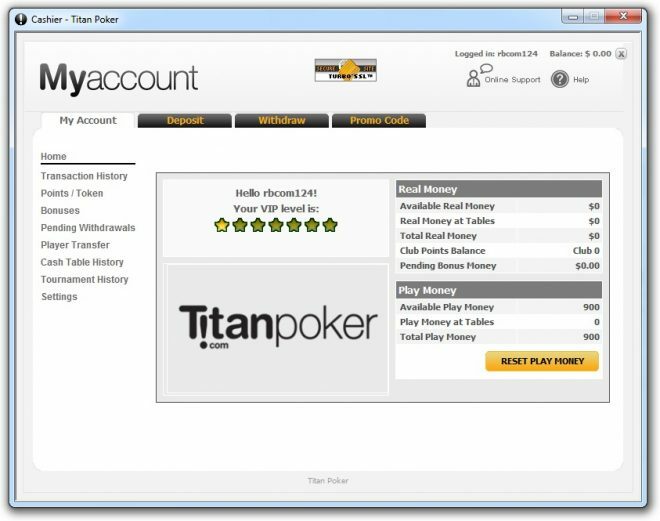 Titan is one of the largest, most reputable skins on the iPoker Network. Although it doesn't offer flat rakeback, Titan Poker is a popular choice as it forms part of the iPoker 2 playerpool, the top iPoker tier with a higher concentration of recreational players. 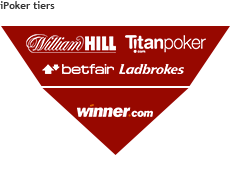 Titan is part of iPoker 2, the network’s segregated tier of more established iPoker skins such as Betfair and Ladbrokes. While rewards are lower on iPoker 2 – up to 49.8% cashback plus promotions – the tier has a larger pool of recreational players, many crossing over from connected casinos and sportsbooks. iPoker 1 rooms such as Winner Poker offer 70% rakeback. Try both to see where you’re most profitable. The 200% up to €1,500 first deposit bonus (£1,200 for UK signups) releases at a rate of €5 per 400 points earned, equivalent to 25% extra rakeback with two months to clear. Visit the Titan Poker website via the links on this page and use bonus code RAKECOM on your first deposit to be tagged for exclusive Rakeback.com promotions. A Titan Poker rakeback equivalent (cashback) is earned through the Titan VIP Club. This is in addition to the value of the first deposit bonus and all other Titan promotions. Players earn 17 Titan Points per $1 rake in tournaments or 15 per $1 in cash games. These points count towards your VIP status and automatically earn you Club Points according to a multiplier. Club Points are then converted to cash bonuses or tournament tokens in the VIP Club store. The table below shows some example equivalent rakeback percentages for grinders reaching different VIP levels and purchasing different cash rewards – e.g. $4,000, $8,000 and $14,000 cash options. Learn more about the Titan VIP Club here. The ’Rake per 100 Hands (€)’ and ’Rake Paid per 100 Hands (BB)’ columns are based on 80.7 million hands of data-mining research conducted by the Rakeback.com research department. The rake structure shown below came into effect April 5, 2014. NLHE and PLHE games are raked 5 – 6.66%. Rake is collected using the incremental method*. * 6.66% refers to €0.01 per €0.15 in the pot. 5% is €0.01 per €0.20 above €0.05/€0.10 stakes, or €0.05 per €1 at €0.50/€1+. PLO games are raked with the same rake structure as NLHE & PLHE, at 5 – 6.66% incrementally*. * 6.66% again refers to €0.01 per €0.15 in the pot. 5% is €0.01 per €0.20 above €0.05/€0.10 stakes, or €0.05 per €1 at €0.50/€1+. NL and PL games are raked 3.75 – 4%. Rake is collected using the incremental method*. * 4% refers to €0.01 per €0.25 in the pot at €0.02/€0.04 – €0.10/€0.20 stakes, €0.02 per €0.50 at €0.25/€0.50 – €1/€2, €0.20 per €5.00 at €2/€4, and €0.40 per €10.00 at €3/€6 – €10/€20. 3.75% is €0.75 per €20.00 at €20/€40. 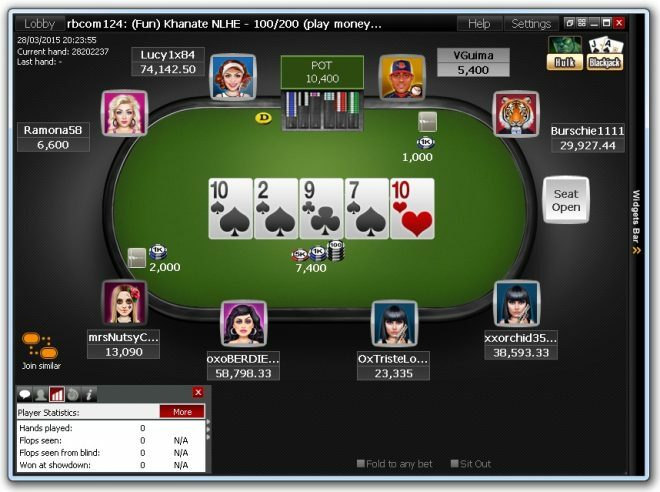 Rake paid is lower in iPoker’s fast fold poker format ’Speed Holdem’ owing to a lower average table VPIP. Find out if you’re on the iPoker banned countries list here (US signups aren’t accepted). Read another Titan review here. 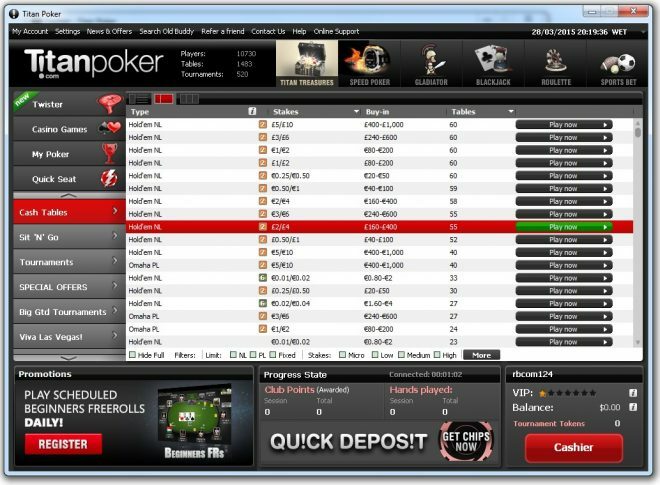 Sep 4, 2012 – iPoker split its network into two tiers with separate playerpools, Titan Poker formed part of iPoker 2 with VIP programs and more recreational players. iPoker 1 skins have flat rakeback deals but tougher games. Apr 5, 2014 – iPoker reverted all USD tables to EUR currency then removed stakes above €5/€10 in NL & PL and above €10/€20 in Fixed Limit. The Euro rake caps raised the effective rake, 100nl with a $3 rake cap suddenly became e.g. 115nl with a $3.57 rake cap depending on the exchange rate. Earn up to 50% VIP rewards and play with recreationals on flagship iPoker skin, Titan Poker.